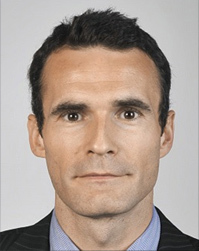 Thomas Philippon (France) is Associate Professor at the Finance Dept. in NYU Stern. He received his B.A in Physics and Master in Economics from Ecole Polytechnique and Delta-EHESS, respectively, and his PhD (2003) from MIT. He has been awarded the Brattle Prize for the best paper in Corporate Finance published in the Journal of Finance in 2008. He is a Research Associate of NBER and CEPR and Associate Editor of The American Economic Journal-Macroeconomics. His research has often been featured in The Economist, Le Monde, FT, NYT, etc. He has published widely cited papers in leading journals like American Economic Review, Journal of Finance, Journal of Financial Economics, Quarterly Journal of Economics, Review of Economics & Statistics, etc. The award ceremony took place in Madrid on November 3rd, 2014.